There is to be a show of my artwork at Orbital Comics this coming October. This will overlap with the publication of a new edition of Mazeworld from Rebellion that same month. What artwork will be exhibited is yet to be decided but present thinking is that Mazeworld pages will predominate. 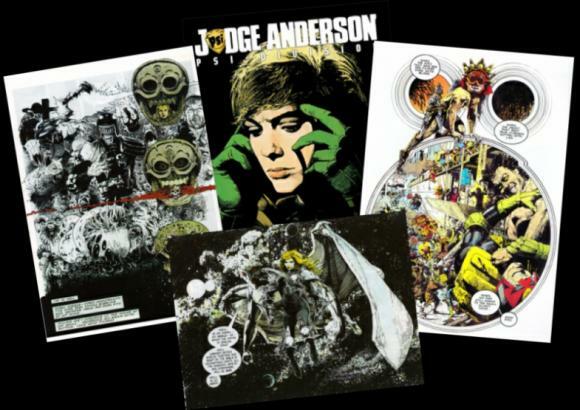 However it will include some pieces from both Button Man and from Judge Anderson. Thanks to the generosity of Rufus Dayglo the Button Man/target cover will be there. 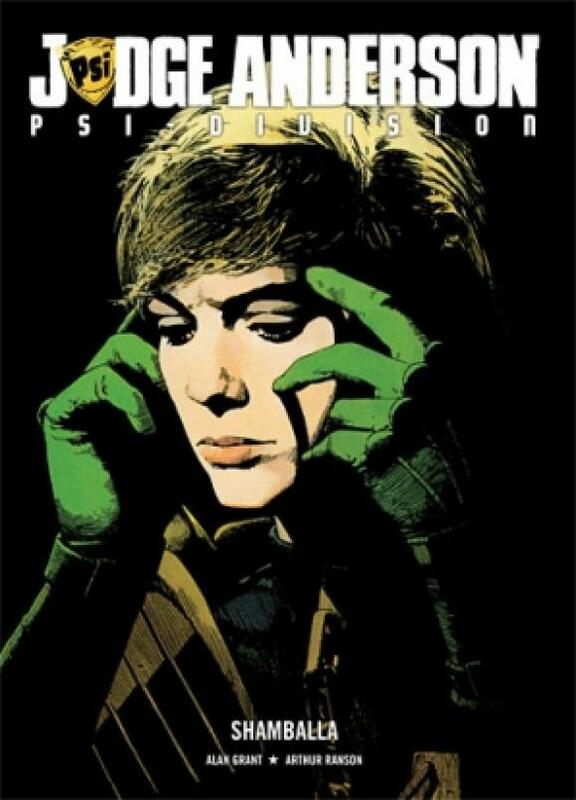 More problematic will be finding Anderson pages. 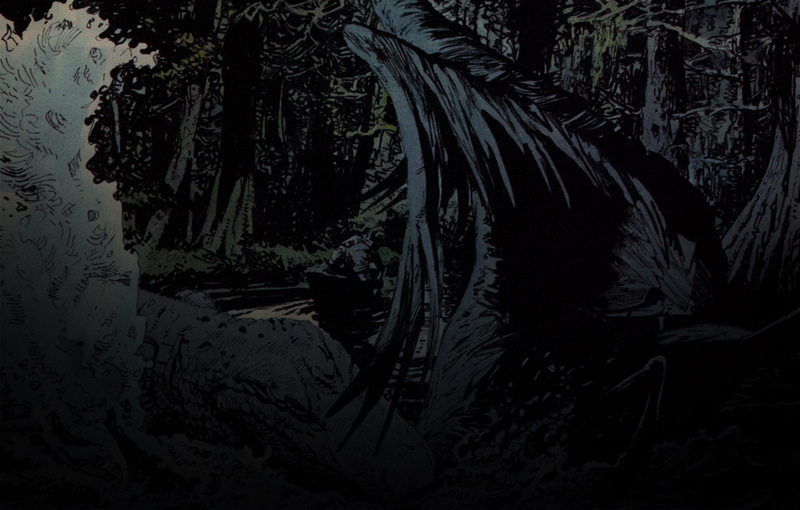 Two Anderson pieces I would very much like included are the cover portrait used for one 'Shamballa' edition and the Satan and 'Bad' Anderson spread from the 'Satan' story. If you are the owner of either of these two and were willing to loan them for the exhibition I would love to hear that from you. There are other pages from 'Shambala' that would be nice too. 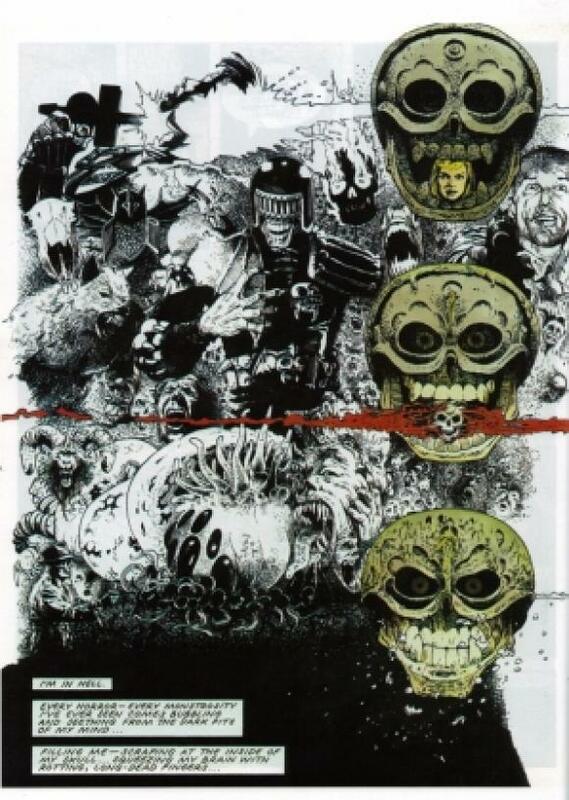 The Judge Death one shown and happen some with circular frames. Possibly owners may think they have something that really should be there. You might get the impression from this that I have been a little less than business like in the sale of artwork but back then there was always the thought that, never mind, there would be more to come. Since it is unlikely that here will be any other show of my work I would like this one to be as best as we can make it, so here is a plea to help make it so if you can. Postage can be repaid. Invite to the opening offered. Any other requirements will be considered. 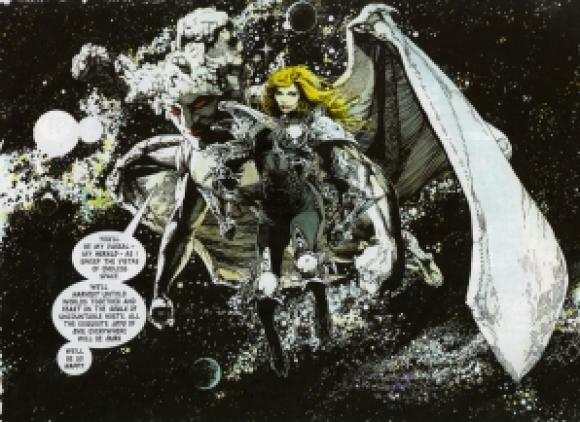 Judge Anderson and Judge Death copyright Rebellion Publishing.